Officials from Nevada and Arizona are making progress as the Jan. 31 deadline looms before the federal government intervenes to sign a Colorado River Drought Contingency Plan. John Entsminger, general manager of the Southern Nevada Water Authority, said Jan. 17 that his agency continues to work with officials in Arizona to finalize the Drought Contingency Plan, an interstate deal designed to slow the decline of the river’s two main reservoirs, Lake Mead and Lake Powell. U.S. regulators have given the seven Colorado River states until Jan. 31 to finish the plan or face federal intervention. Nevada signed on to the plan in November. Arizona, which stands to lose the most water under the deal, remains the lone holdout. Entsminger gave an update on the talks during the water authority board meeting but declined to offer details about the role the authority is playing because he didn’t want to jeopardize the fragile negotiations. He said he thinks the drought plan has about a 70 percent chance of passing the Arizona Legislature by the deadline announced in Las Vegas last month by U.S. Bureau of Reclamation Commissioner Brenda Burman. 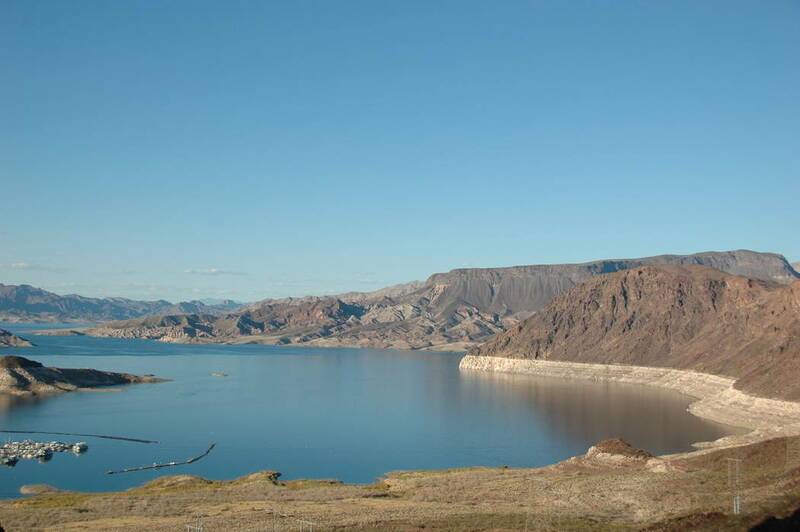 The Drought Contingency Plan calls for Nevada, Arizona and, eventually, California to voluntarily reduce their use of the river to leave more water in Lake Mead. Arizona would give up 192,000 acre-feet of water and Nevada would give up 8,000 acre-feet under the first round of annual cuts. California would join in the reductions for the first time, surrendering 200,000 acre-feet of water a year, should Lake Mead drop another 40 feet from where it is now. One acre-foot of water will supply two average Las Vegas Valley homes for just over one year. The valley draws about 90 percent of its water from the Colorado by way of Lake Mead. The drought plan has been in the works since 2015, but water users in Arizona continue to squabble over how to divvy up their share of the cuts. The Jan. 17 update came amid more bad news for the river. According to federal projections released last week, Lake Mead is expected to drop 16 feet over the next year. That would trigger a first shortage declaration and require Nevada and Arizona to reduce their annual river use by 13,000 acre-feet and 320,000 acre-feet, respectively — cuts that would come on top of the voluntary ones now being discussed as part of the drought plan. Worse yet for Lake Mead, California’s largest municipal water agency has announced plans to start withdrawing some of the water it has stored in the reservoir to prevent it from being locked away in the now-likely event of a shortage. The Drought Contingency Plan would loosen some of the restrictions on water bank withdrawals from Lake Mead during a shortage. But in the absence of a finished drought plan, Jeffrey Kightlinger, general manager of the Metropolitan Water District of Southern California, said his agency could not afford to leave up to 600,000 acre-feet of reserves stuck in the lake. Entsminger said removing all that water could cause an additional 8-foot drop in Lake Mead. But he can’t blame his Southern California counterpart for threatening to do so. “If I was sitting in Jeff Kightlinger’s seat, I’d would do the same thing,” he said. California: starts at 250,000 and increases by 50,000 for each additional 5-foot drop in the lake. One acre-foot of water will supply two average Las Vegas Valley homes for just over one year.